(Photo: "Bulletins on the pioneering flight of Glenn Curtiss from Albany to New York, 1910. 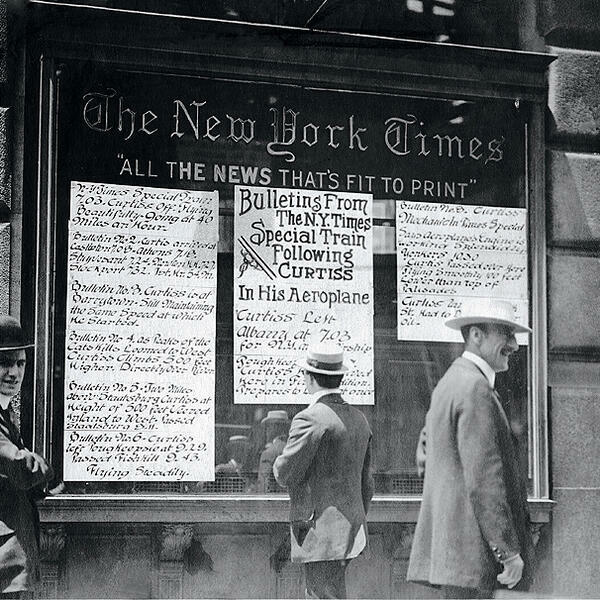 The New York Times hired a special train to follow Curtiss on his pioneering flight... and scooped The New York World, which had given Curtiss a $10,000 prize for the accomplishment." Best of Gregory Copley: Mattis on defense.